Our goal is to make youth soccer accessible, fun and safe for players of any age or skill level. We provide the ideal soccer environment with the perfect balance of clinics and games in order to teach your child all the ins and outs of soccer skills, soccer tactics and team spirit. 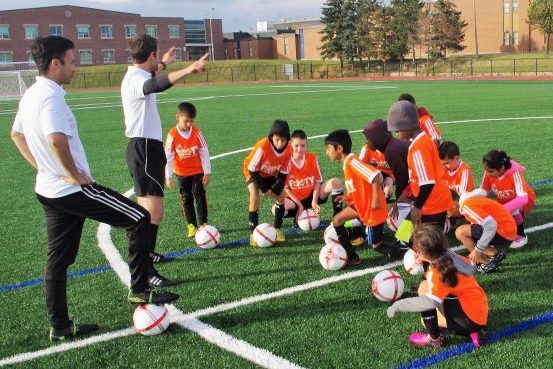 We've gone the extra mile to create a professional, fun and safe environment and try to give your child the best soccer experience Brampton and the GTA has to offer. Our goal is to make soccer accessible, fun and safe for players of any age or skill level. All kids are playing on the highest quality field: no more relegating kids that are learning to sub-standard fields. 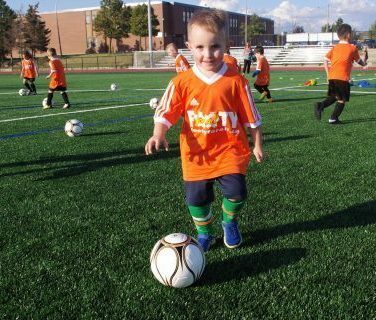 We provide the ideal soccer environment with the perfect balance of skills and games in order to teach your child soccer skills, tactics and team spirit while still having fun. We believe kids soccer shouldn't just be about player development it should be about fun and enjoyment first. Our boys soccer and girls soccer programming is designed to be fun and inclusive! Sign up for a kids soccer program today! Click Register Now for a list of our upcoming programming. Any questions email admin@footyforall.ca or call 289-632-1855. Don't miss out, get your little kicker out this spring.